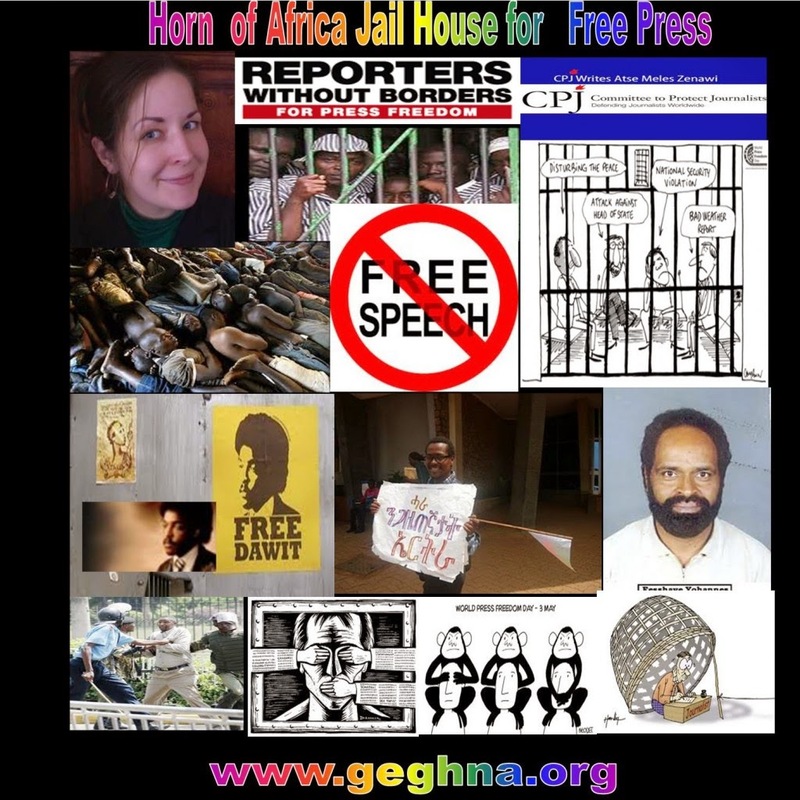 September 19, 2013 (ADDIS ABABA) – The Ethiopian government on Thursday admitted imposing new visitor restrictions against journalist Reeyot Alemu, who remains in prison on terrorism-related offenses. “Reeyot Alemu has repeatedly violated prison laws, she is abusive and ill-reputed. As a result prison officials, according to the law, have taken disciplinary measures”, government spokesperson, Shimels Kemal told Sudan Tribune. Kemal said the latest restrictions were only imposed on her regular visitors and not her relatives. However, the official warned that if Alemu continues to violate prison laws and regulations, authorities have the right to even restrict her from having any visitors. Press freedom group, the Committee to Protect Journalists (CPJ), said the new restrictions were in retaliation against a hunger strike she began on Wednesday in protest against orders by prison authorities to turn in a list of her visitors. Alemu, who has been a columnist for the banned private weekly Fitih, was detained in June 2011 after she was found guilty of terrorism related charges. Her original 14-year sentence was reduced to five years last August after an appeal lodged at the Federal Supreme Court. International right groups have condemned the measures and are calling for an urgent lifting of the new restrictions. "We call upon the Ethiopian authorities to lift these latest restrictions and allow Reeyot Alemu to receive all visitors," said CPJ East Africa Consultant Tom Rhodes. "She is a journalist, not a criminal, and should not be behind bars," Rhodes added. CPJ said the denial of rights to Reeyot runs counter to the Ethiopian Constitution, which states: "All persons shall have the opportunity to communicate with, and to be visited by, their spouses or partners, relatives and friends, religious counselors, lawyers and medical practitioners." Reporters Without Borders similarly condemned the decision and expressed grave concern over her situation. "The denial of visitors to Reyot Alemu is endangering her mental health," Reporters Without Borders said. "This further deterioration in her situation compounds the already deplorable conditions that she has endured for more than two years. We call for her immediate and unconditional release." Speaking to Sudan Tribune, government spokesperson, Shimels Kemal stressed that Reyot Alemu was not a journalist and addressing her as journalist must be corrected. “She is professionally an elementary school teacher and occasionally writing to a little known circulation won’t make her a journalist” he said. He added she was involved with a terrorist network and was accordingly found guilty by court. “It is not right for CPJ to stand by someone who is not a journalist. CPJ is taking wild imaginations only aimed to blame Ethiopia and tarnish [the] country’s image” Kemal further said. Nairobi, September 5, 2013--A TV journalist has received death threats twice this week following his coverage of wrongdoing at a hospital in the western Kenyan town of Bungoma, according to the journalist and news reports. The Committee to Protect Journalists calls on authorities to immediately investigate the threats and ensure the reporter's safety. Bungoma County Governor Kenneth Lusaka and County Cabinet Secretary for Health Grace Khayota visited the facility today and suspended four of the nurses for alleged mishandling of the patient, according to local journalists. In a press briefing at the hospital today, Egesa accused Wanyonyi of being "fond of reporting negative things" and said he would "deal with him," Wanyonyi and local journalists attending the event told CPJ. The story has elicited shock among the Kenyan public, especially on Twitter. The hashtag#theSickHospital is trending on Twitter.